If you think your “hardgainer” genetics will never allow you to get big and strong, think again. Here’s the answer you’ve been looking for. Thousands of self-styled hardgainers are standing in front of their mirrors right now, thinking that exact thought. If you’re reading this article, you’ve probably done the same. And I’ve felt your pain. You see, when I was 18, I was 6’2 and 155 pounds and, like most skinny, hormone-addled guys, I really wanted to impress girls. Girls like muscles so off I went to the gym with workout magazines and a protein shake in hand. And so it began. As you can imagine, I wasn’t thrilled. I had put in at least a thousand hours in the gym to gain a rather underwhelming 15 to 20 pounds of muscle. Did I need to eat more food? Was I not eating enough protein? Was it going to require even more time in the gym? Some special type of workout program that I had yet to discover? Or was I facing the worst-case scenario? Did the fault lie in my genes? Was my body just never meant to be the way I wanted it to be? And in this article, I’m going to share with you exactly how I did it and how you can follow in my footsteps. You can gain a lot muscle. You can get really strong. And it’s not nearly as complicated as you probably think. You won’t have to drink a gallon of milk per day, live in the gym, or fill your cabinets with pills and powders, either. So, if you’re ready to learn how to break the hardgainer curse once and for all, keep reading. How Big Do You Really Have to Eat to Get Big? What's your take on diets and workouts for hardgainers? Have anything else to share? Let me know in the comments below! You may think you can’t gain weight no matter what you do, but you can. Very easily. If you can choke down that much grub — or even half of it — I promise that you’ll start adding pounds. The goal is to gain as much muscle and as little fat as possible. So that’s the goal. How do we achieve it, exactly? Everyone knows that when it comes to gaining (or losing) weight, diet determines results more than anything else. Well, there’s truth in that cliche. If you’ve always struggled to gain weight, you’re probably going to have to eat more food than you’re used to. How big is “big,” though? How many calories? How much protein? What types of foods are best? The long story short of why most people can’t gain muscle effectively is they simply don’t eat enough calories every day. To put that in perspective, I’ve worked with quite a few hardgainer types that had to eat upward of 4,000 to 4,500 calories per day just to eke out 0.5 to 1 pound of weight gain per week. And to lend even more perspective, their diets before working with me provided, on average, about half that amount. Successful “bulking” usually entails eating a slightly uncomfortable amount of food. To understand why, let’s start at the beginning: a simple definition of the word calorie. When we’re talking food, a calorie is the amount of energy required to heat one kilogram of water on degree Celsius. Thus, when we talk about eating and burning so many calories, we’re talking about consuming and expending various amounts of energy. The relationship between what we eat and burn is known as energy balance, which is the overarching principle of all dieting. If you don’t know how to get your energy balance right, you’ll never achieve your health and fitness goals. Period. You’ll always struggle with your weight. You’ll boggle over how to improve your body composition. Now, when you want to gain muscle as quickly as possible, it’s very important that you don’t eat less energy (calories) than you burn. It hinders your body’s ability to create muscle proteins. Your body has trouble repairing and adding to muscle tissue when in a calorie deficit. It causes unfavorable changes to hormone levels. 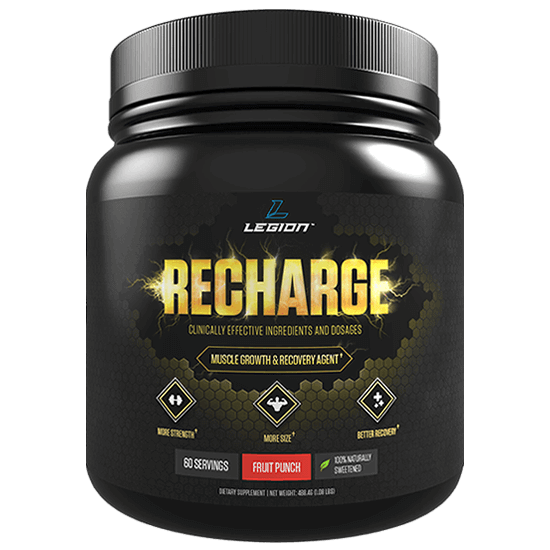 Specifically, it reduces testosterone and increases cortisol levels, which further blocks your body’s ability to build muscle. It causes workout performance to decline. When you’re in a calorie deficit, you can count on eventually hitting training plateaus and struggling with dwindling energy levels in your workouts. As you can imagine, you’re not going to build much muscle doing low-energy workouts that have you basically treading water. Without progression, the body doesn’t change much. This is why, if you want to gain muscle and weight quickly, you need to spend as little time in a caloric deficit as possible. Now, the best way to ensure you’re not in a deficit (and thus not impairing muscle growth) is slightly overshooting your body’s energy needs by eating more calories than you burn. This is known as a “calorie surplus” or state of “positive energy balance,” and it brings us back to the “eat big to get big” bit of gymlore. How big of a surplus, though? This is where many “bulking diets” get screwy. They want you to shovel in thousands and thousands of calories, day in, day out, regardless of your circumstances. Well, this is one way to ensure you’re in a caloric surplus, but it’s like grabbing for a chainsaw when a scalpel will do. You see, this “dirty bulk” approach is ultimately wrongheaded because, unfortunately, a large calorie surplus isn’t more conducive to muscle growth than a small one. That is, eating ~10 to 15% more calories than you burn every day primes your body for muscle gain just as much as eating 30% more. In fact, the smaller surplus has the upper hand because the large one will result in a lot more fat gain (and when you’re gaining fat quickly, metabolic adaptations occur that further accelerate fat storage). As insulin sensitivity gets worse, your body’s ability to burn fat decreases, the likelihood of fat gain increases, and your body’s ability to create muscle proteins is blunted. Maintaining a high (and healthy) insulin sensitivity is an important part of optimizing your body composition. It helps with building muscle and minimizing fat gain. Your testosterone levels drop and your estrogen levels rise. This is more or less the exactly opposite of what you want. Testosterone is the primary hormone responsible for stimulating muscle growth and high estrogen levels promotes fat gain. This is one of the main reasons why many fitness pundits say that bulking is an antiquated, unworkable relic of bodybuilding lore. Unfortunately, these people are throwing the baby out with the bath water. The wild-eyed, “eat everything in sight” approach to building muscle deserves the bum rap, but we can’t lose sight of the scientific fact that maintaining a calorie surplus is an important part of maximizing muscle and strength gain. Maintain a slight calorie surplus of 10 to 15% to maximize muscle growth and minimize fat gain. You’re looking to gain 0.5 to 1 pound per week, and you should see a slow and steady increase in both muscle and body fat. (Most people seem to gain muscle and fat at a 1:1 ratio, while the genetically gifted gain more fat than muscle and the low-responders gain slightly more fat than muscle). 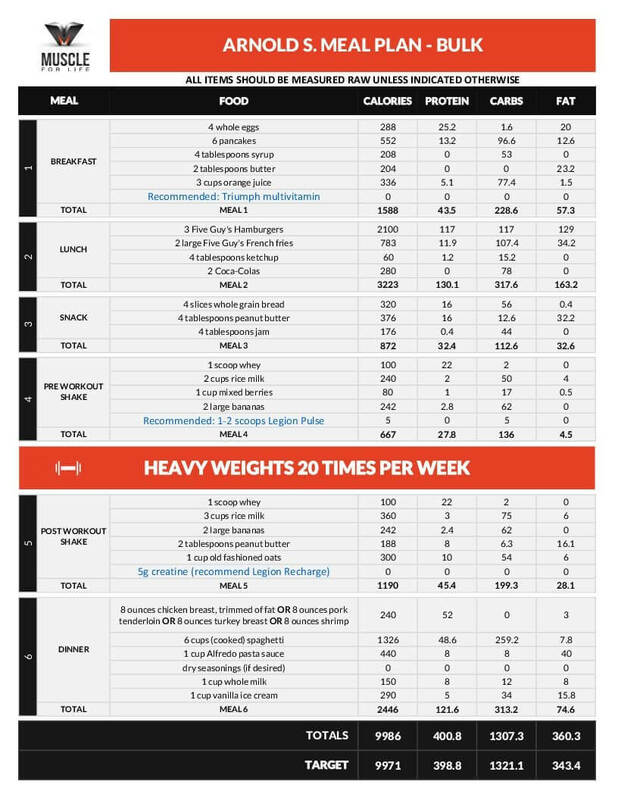 Check out this article if you don’t know how to figure out your calories. Don’t pack on fat with huge cheat meals/days. You really want to avoid bingeing when bulking because it can result in startling jumps in body fat levels. Trust me — you can nearly double your rate of fat gain by eating way too much just a couple days per week. Learn how to “cheat” intelligently, instead. You’ve likely heard people talk about “weight loss” and “lean muscle” foods. You know, the foods that somehow melt fat off your body or, even better, “shift” fat into muscle. Well, I hate to be the bearer of bad news but that’s nothing but a bunch of marketing moonshine. You can’t get the body you want simply by eating the “right” foods (or avoiding the “wrong” ones). What is true, however, is that some foods are more conducive to weight loss (or gain) than others. Simply put, high-calorie foods, and especially high-fat foods, and especially those that aren’t very filling, are great for gaining weight because they help you pack in the calories. And on the other hand, low-calorie foods that are quite filling are great for losing weight because they help stave off hunger and prevent overeating. To put this practically, if you start your day at IHOP and chow down on a large stack of pancakes with butter and syrup, you can easily put down 1,000 calories in about 5 minutes. That’s all good until you hear your stomach growling a couple of hours later and realize you’ve already eaten half of your calories for the day. But if your breakfast consists of low-calorie, high-protein foods, you’re going to feel fuller longer for a lot less calories, leaving you with plenty to spare for the rest of the day. This brings us to one of the most common mistakes I see hardgainers making: Eating too many low-calorie, high-satiety foods. For example, baked potato is extremely filling for how many calories it provides. Soups are temporarily filling due to the volume of liquid (and are generally low-calorie). High-protein yogurts, like Greek yogurt, are more filling than their lower-protein counterparts. Apples and oatmeal are known for their satiating effects. The point isn’t that you shouldn’t ever eat foods like these, of course, but just that you have to eat them “sparingly” or you’ll find it very hard to eat enough calories. Now, all this won’t be enough for some people because they struggle to eat enough calories no matter what kinds of foods they choose. A simple way to overcome this is to drink a portion of your calories. It’s very easy to put down several hundred calories’ worth of tasty beverages, like fruit juice (opt for the no-sugar-added ones), milk, or rice milk, without much impacting how much solid food you can eat (semi-) comfortably. And in the end, some guys and gals have found that just as restricting calories for fat loss can be slightly uncomfortable at times, eating a surplus of calories for weight gain can be a bit of a grind as well. They don’t feel like eating all that food but do it to get results. I think you now understand how big of a role your diet plays in cracking your weight gain plateau. If you don’t get your food intake right, nothing else will matter. Once you do, though, how you train will have a marked effect on your weight and muscle gain. As a natural weightlifter, you need to emphasize heavy, compound weightlifting and ensure you get adequate rest and recovery. The high-rep, high-volume, high-frequency workouts that you find in magazines and all over the Internet just aren’t very effective unless you’re on drugs. If you want to learn more about building an effective weightlifting workout routine, click here. While I like the idea of a high-calorie meal replacement shake (and am working on developing one, actually), I take umbrage with the ingredients in most weight gainers. Namely, the junk carbs (dextrose and maltodextrin are the most popular choices), junk fats, and junk protein blends, as well as the multisyllabic tongue twisters that do who knows what in your gut. Armed with a basic pantry and fridge, you can make your own “gainer shake” that’s healthier and cheaper. Protein powder + banana + oats + peanut butter + milk = magic. Now, one supplement that I do recommend for gaining weight is creatine. It doesn’t get million-dollar ad campaigns and fancy bottles but there’s a reason why it has remained the creatine form of choice in decades of research. If you follow the advice in this article, your hardgainer days are numbered. Slowly but surely you’ll gain muscle and strength faster than ever before, and without just getting fat. Stick with it long enough and you’ll eventually have the body you really want. That’s it — the simple formula for gains for any body type. What’s your take on diets and workouts for hardgainers? Have anything else to share? Let me know in the comments below!